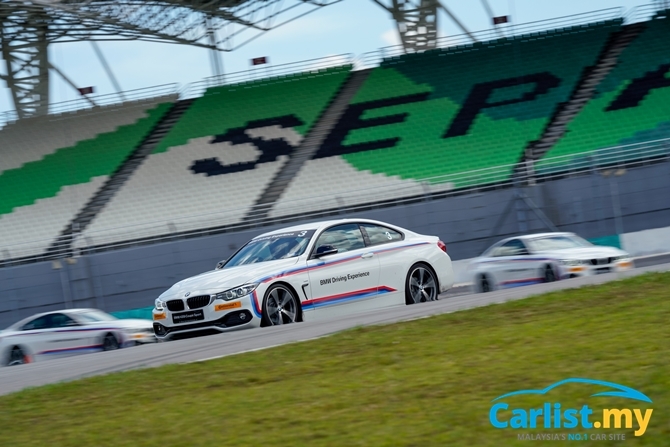 “Too fast, you’re not going to make it,” crackled my instructor Ivan Khong over the walkie talkie placed inside my BMW 420i, which was on the verge of overcooking Turn 6 of Sepang circuit. 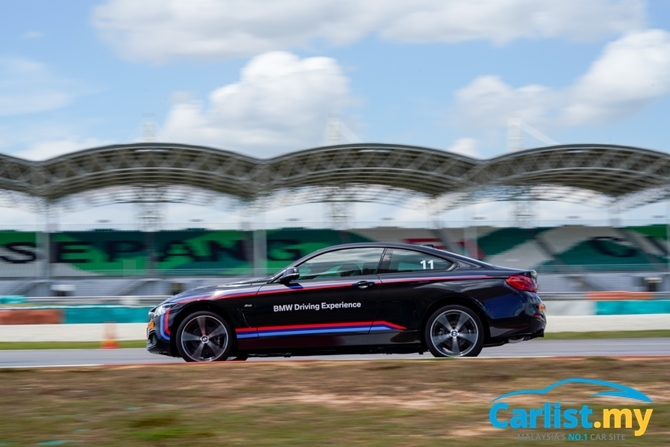 I am here at the BMW Intensive Driving Experience, the second step of BMW’s in-house advanced driver training which is open for the public to join, for a fee of course.  Like most people, I have zero interest in becoming a racing driver, and despite the stereotype of someone in my line of work, I have only the faintest interest in track days. 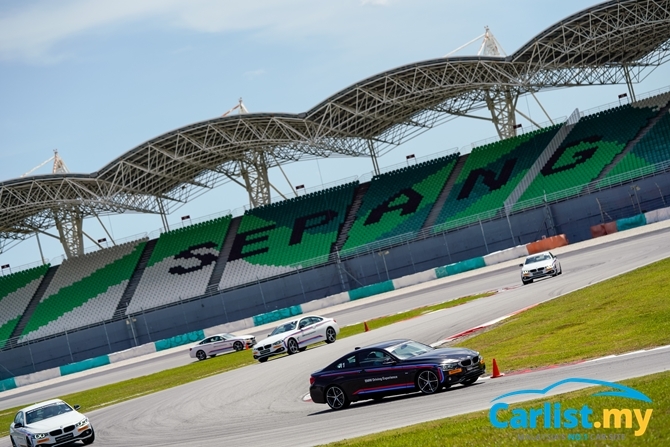 So what am I doing at Sepang then? Consider this: Ninety percent of drivers think they are above average – get the joke? Unfortunately the statistics are not a joke. It’s an actual result of a psychological study done in Sweden. Psychologists call it Superiority Bias, a fancy way of saying too many people think too highly of themselves. When it comes to road safety, Superiority Bias results in high road fatalities. Everyone thinks they are too good for speed limits.  But here’s the clincher – another study also shows that people with low IQ tend to overestimate their IQ, while people with high IQ tend to underestimate theirs. It’s called the Downing Effect, a fancy way of saying talented people know what they don’t know, while mediocre people don’t even know what they don’t know. Spending two days with a group of advanced driving instructors is certainly a humbling experience. It’s good to know what you don’t know. “If you can’t even do an emergency lane change at 90 km/h without hitting the cones, what makes you think you can handle 110 km/h?” asked another instructor. The first order of the day was classroom lessons. “A headrest is not to rest your head. It’s actually short for Head Restraints,” said Ivan. 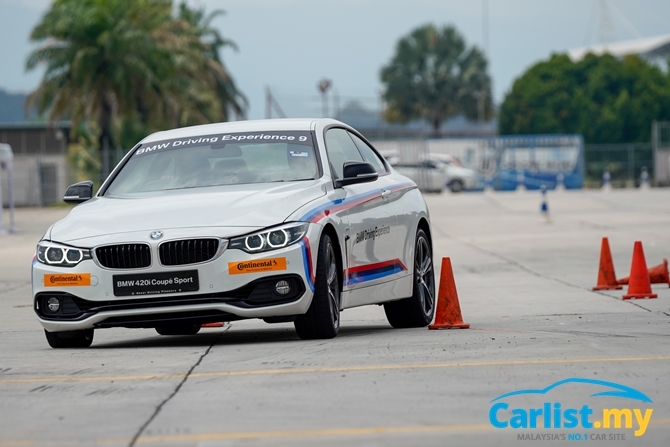 Participants were also reminded the importance of holding the steering wheel at 9 and 3 o’ clock positions, and adjusting the seat’s distance and height to maintain a slight bend in the elbows and the knee when the right feet is pressing hard on the brake pedal. The latter is crucial in protecting your pelvis in the event of an impact, the former is important for steering with precision. Note the highlights in red. We were also given a simple lesson in basic maths and physics, because one can’t understand the limits of a human driver and the car’s traction without understanding these two. Driving at just 100 km/h, a car needs 62 metres to come to a complete stop, even in ideal dry conditions. Should danger suddenly appear, the average driver takes one second to react and in that one second, the car would’ve already travelled nearly 28 metres – about six car lengths - before the brakes are even used. A good driver is always aware of his current speed versus the stopping distance required given the road conditions. 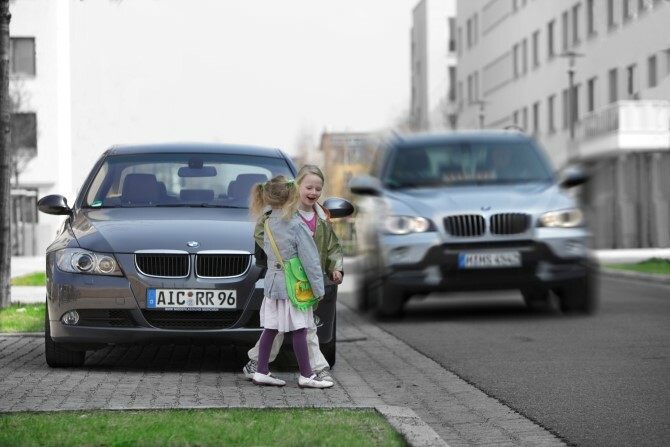 Any time there is a gap between how far ahead your eyes can see and how much braking distance you need, slow down. This is especially true for blind corners. 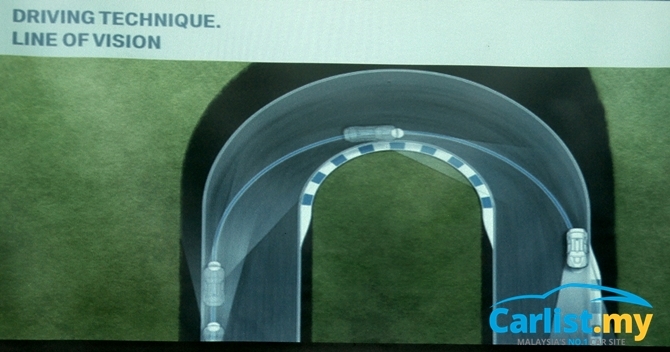 Next was the Kamm’s circle theory – which explains the limits of your tyres. It doesn’t matter how much horsepower you have. A car’s potential is always limited by its tyres, which is always trading off available grip between maximum braking or maximum acceleration, and maximum steering. With the classroom lessons done, it’s time to hit the tarmac outside. The highlight of the day was oversteer control on a wet skidpad. Contrary to popular opinion, oversteer is induced at low speeds, with sudden application of throttle and steering angle to loosen the tail. Controlling and holding the slide takes a lot of finesse and practice. The next exercise was an emergency lane change at 100 km/h without braking. The trick to clearing the obstacles is applying sufficient steering angle and exercising proper line of vision. In an emergency, the average driver isn’t steering enough or braking with sufficient pedal pressure, both being related to their seating position. Another common mistake is object fixation. There’s a difference between “Look where you are going,” versus “Look where you want to go.” The former will lead you into a crash while the latter needs practice. Our brains are wired in such a way that our hands will naturally steer towards where our eyes are looking. A common mistake among average drivers is not turning their head to look at the corner they are taking. Your eyes should see the bend before the car. Rather than looking at the escape path and steering towards it, drivers tend to fixate their eyes on the danger ahead - in our case, the bright orange cone. 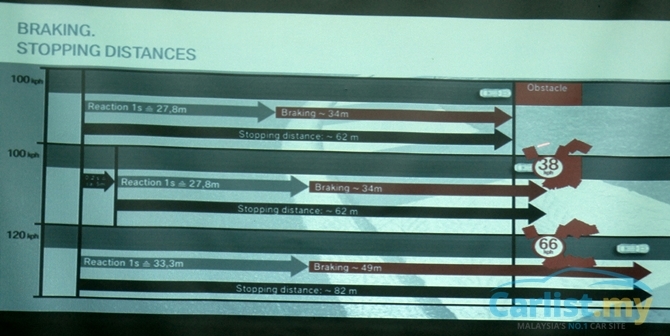 The final exercise was dynamic braking, also known as trail braking. It’s a very high level technique, useful more for racing but applicable on public roads if you have to brake and steer from very high speeds mid-corner. 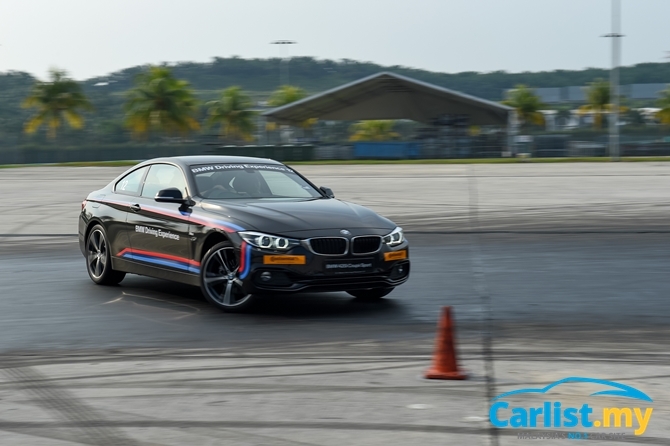 The exercise involves approaching a fast sweeping bend at 100 km/h, applying full braking power before easing off the brake pedal as you increase steering angle once you start turning in. It’s an application of the Kamm circle theory. 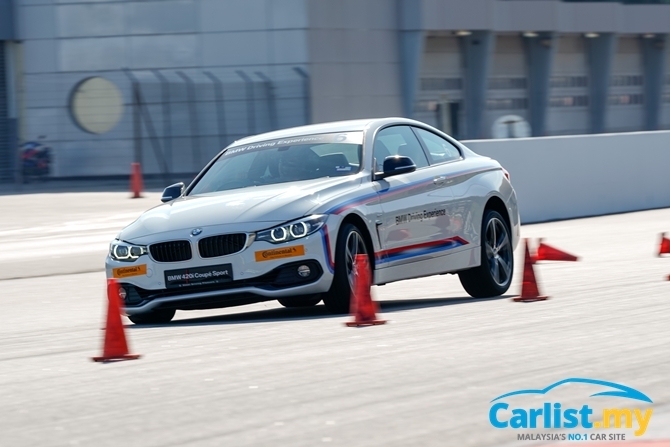 Get it right and you will squeeze past the cones, laid in a manner that it curves and tightens your lane progressively. Get it wrong and you will understeer and plough straight, even with ABS. 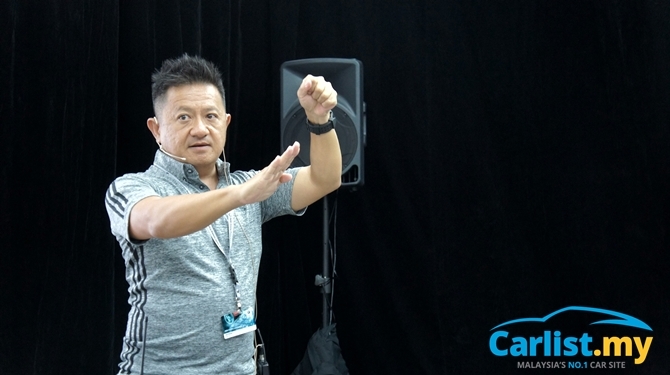 When done with all the exercises, participants were let loose on the full track, albeit always behind an instructor leading the way and showing us the lines, before swapping positions. The best students were those who can clear Turn 7 and 8 in one steering angle, and those who managed a clean getaway from Turn 13 and 14, which were always an exercise of measured patience and finesse. Providing precise and fine steering and pedal inputs also helps. No sawing your way at the steering wheel or alternating between braking and accelerating. As we spend most of our time on public roads and brake progressively, we had to remind ourselves that on the track, one needs to stomp the brake pedal with maximum strength to activate the ABS. This is necessary to clear Turn 1, 4, and 15 well. So can I sign myself up for an amateur racing series? Not even close. I ended the day learning that racing drivers employ vastly different techniques from what we were taught today. Powerful GT or Formula series race cars use ground effects and can take a much more aggresive racing line and when in a dog fight race, conditions are never ideal and you’re always improvising. Often this means throwing out many of the things we’ve learned today. The maxim “First you learn the rules, then you learn to break the rules” is very true as one scales the hierarchy of advanced driving. There’s still so much more to learn. The more you spend time with the real experts, the more you realized how little you know, and why you shouldn't drive so fast on public roads. What we’ve learned today is only good enough to clock a clean lap time, and to drive better on public roads. 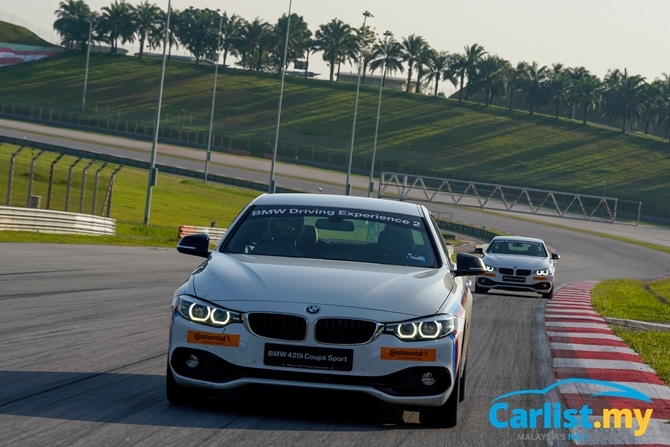 The BMW Driving Experience Programme is open to the public, including non-BMW owners. The entry, one-day Advanced module costs RM1,888. 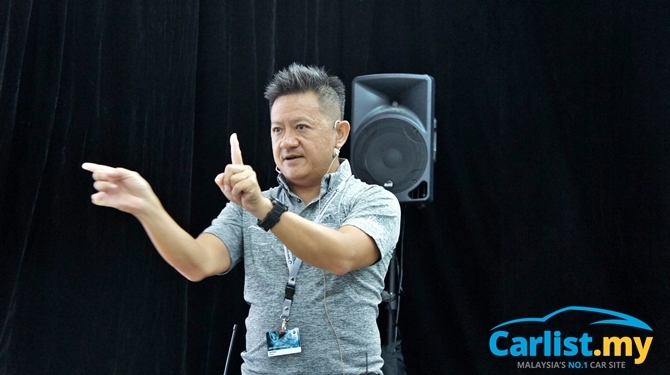 Those who have passed Advanced Module can sign up for the two-day Intensive Module for RM3,688. 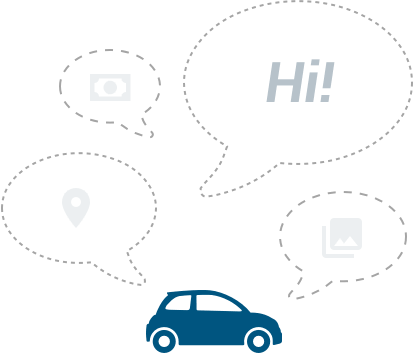 Lower rates are available for BMW owners and BMW White Card Elite holders. 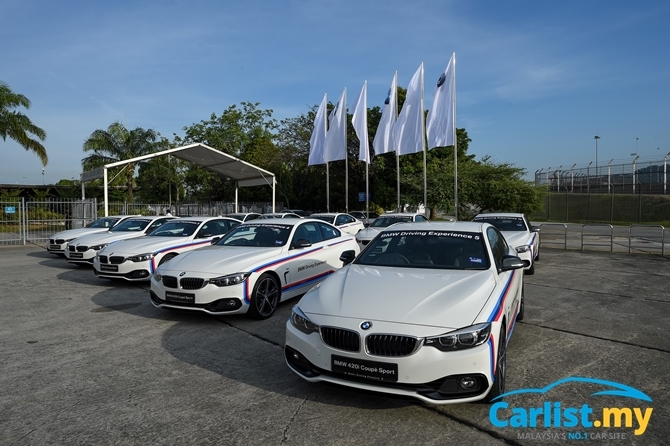 More information at bmw.com.my.